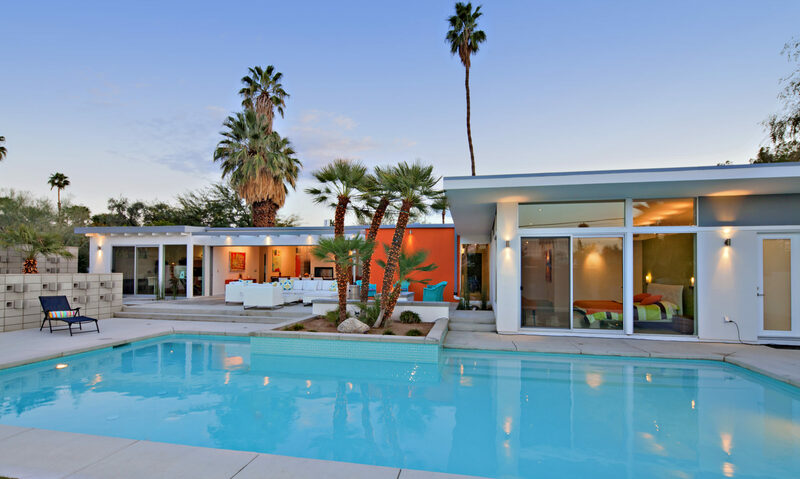 In the Palm Springs area, the only homes that are selling are at 30-50% discounts. Many would-be home buyers seem to be holding back in fear (or hope) that prices will fall some more. If you believe in Buy Low you should be wary of trying to buy at the bottom – that is very hard to do. It’s better to get most of the benefit of the low, than to miss it altogether. Median prices were actually lower last year than now. It does look as if prices may fall again, but I may be wrong . In the opinion of some, we saw prices rise last year due to various government stimulus programs, and they could rise again if private investment increases. We have seen unemployment increase and that will increase the number of foreclosures. The impact of new foreclosures should be minimal because we have seen the banks meter them onto the market about as fast as they are selling, which has kept prices stable. Could a meaningful drop of 20% or more still happen? If a Mid-Century Modern home was $500,000 at the peak, it is possibly worth around $300,000 now (a 40% drop). I don’t believe it can go down to $200,000 (down 60%). Could it go down 15% from $300,000 to $255,000? It is possible, but a slight market improvement could keep the price steady or slightly increase it, as happened over the last year. Meanwhile the buyer is still looking and we are getting closer to the time when prices will definitely increase. Some sellers are waiting too. If they need to sell, there isn’t much point in waiting for the return to high prices. That won’t happen for many years. They are likely better off selling now to start a new financial or housing base rather than dealing with an uncertain future. For both Buyers and Sellers, there is a financial risk of doing nothing, and you may miss the chance of finding that perfect Kreisel Alexander or Walter S. White.